As you know, I just love my slow cooker! It is so easy to just throw some ingredients in it and let it cook dinner for me. 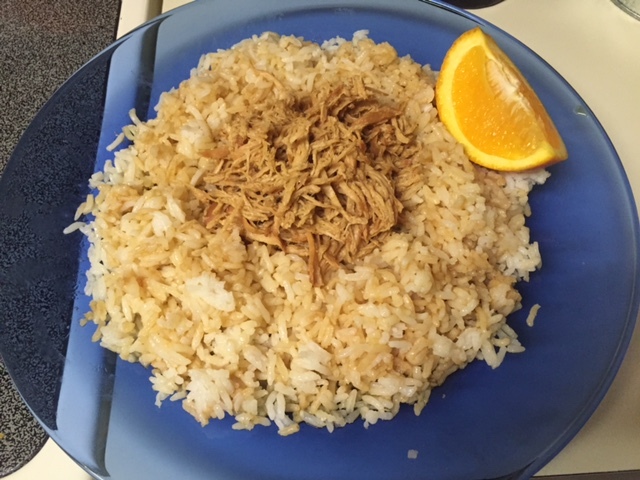 Oranges were in season when I made this, so I decided to devise my own healthy, fresh, orange chicken crockpot dinner! I used my small crockpot, but you can easily double, triple, or quadruple the recipe and just place it in a larger slow cooker. Mix together zest, garlic, ginger, oil, honey, and juice together in bottom of your slow cooker. Add in chicken breasts. Toss in sauce. Cook on low for 4-6 hours. Serve with rice. Enjoy!